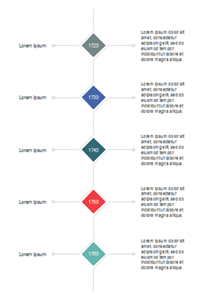 How to design timeline infographic like a professional, yet spending the least time? 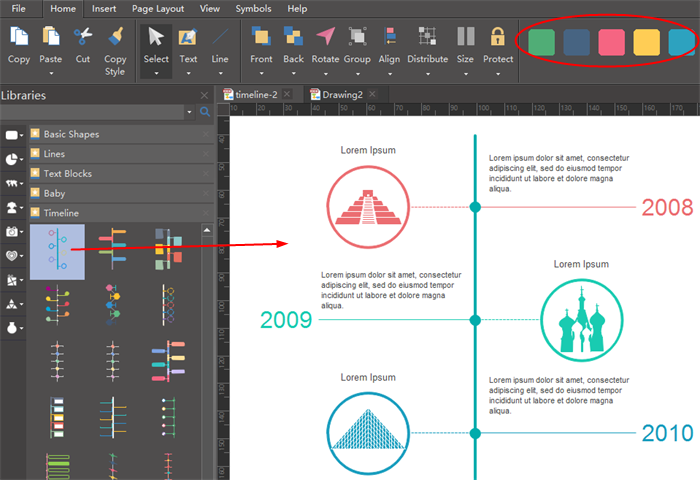 This article will show you a fast way to create timeline infographics through quick templates. 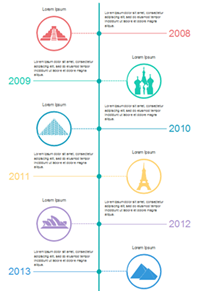 Timeline infographic is an infographic showing a list of events in chronological order. With the linear structure, timeline infographic makes it clear for people to understand when each object appears on the stage. 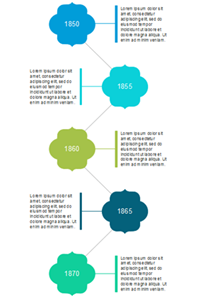 Timeline infographics are often used to portray history or display chronological steps of an event. The usages are versatile. 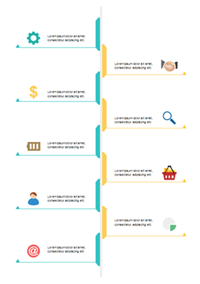 For example, you can use a timeline infographic to display the history of a company, or show someone's life story. 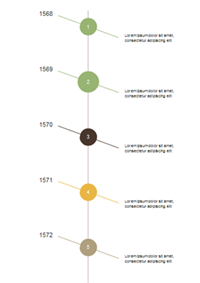 A good timeline infographic must have a line to indicate the time span, then the individual events connected to this line. You need to add dates of each event together with some descriptions. Pictures are optional. 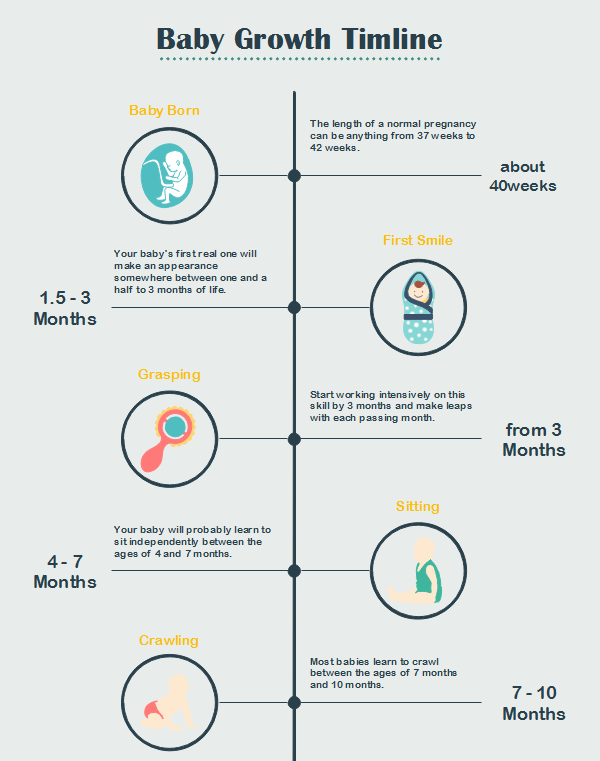 This Baby Growth timeline presents baby growth milestones. It has events, date of events, description of events, and pictures. 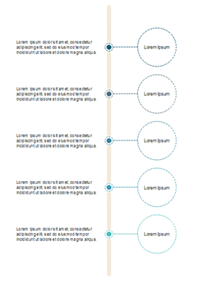 How to Create a Timeline Infographic? How many points (events) the timeline infographic will include? How detail the infographic would be? Will it contain pictures or not? According to the anwers above, choose a timeline template from the library. 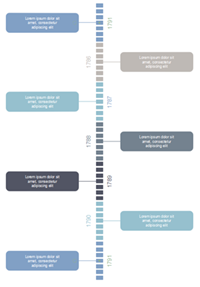 There are 26 timeline infographic templates in total. Drag out from the library to see clear details and decide which one to use. 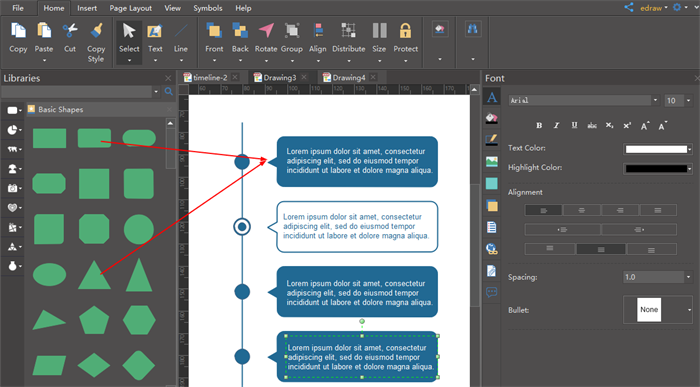 Add text blocks to any location, change the font color, type and size. Recolor, replace, and relocation the shapes. 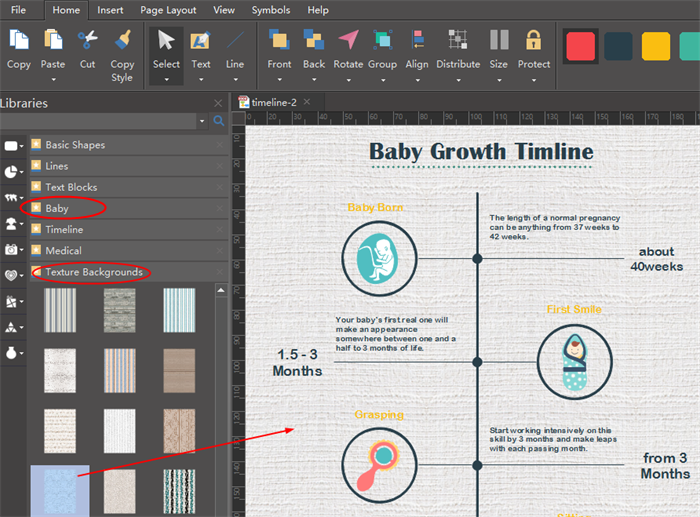 Add other cliparts or infographic elements from the built-in libraries. Above is the original template, and below is the one we customized. We changed the color of the lines and shapes, replaced the images, added a title, and changed the font. After that, we chose a background from the "Texture Background" library. PS: the cliparts of the little babies are mostly found in the "Baby" library. If none of the above templates suit you, you can design from scratch using our quick shapes such as line, circle, rectangle, flag, arrow, etc. 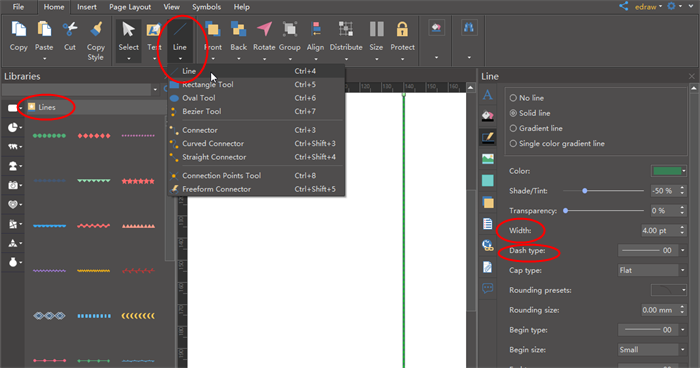 Draw a line with the line tool and set the line color, width, dash type or arrow from the line format tab on the right. 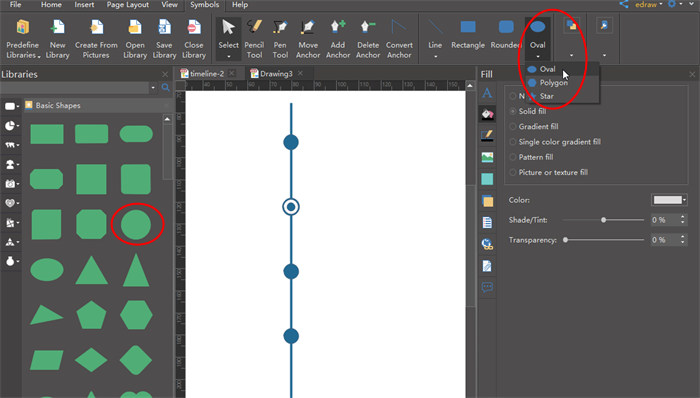 Use the Oval tool to draw a circle. You can draw two cirlces and overlap them to make the hollow style. Or you can open the Basic Shape library to use the ready-made circle shapes. Design text blocks with the pre-made shapes. Use Union tool to make two shapes become one. 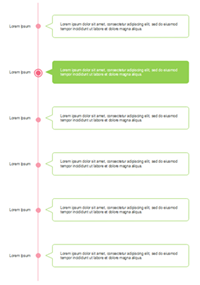 Embellishments will make the timeline more infographic. 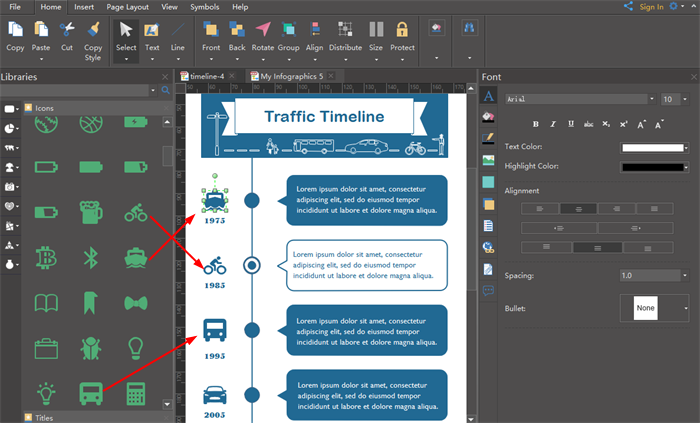 That means, with embellishment such as clip arts, icons, images, the timeline infographic will become more vivid and visually pleasing. 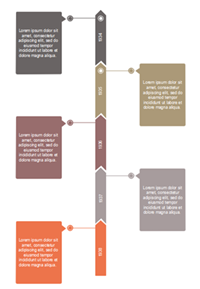 Want to use the above timeline templates in your infographics? Download Edraw Infographic Maker! 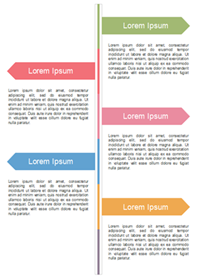 It includes a large variety of infographic elements which are easy to modify. Design a wonderful infographic is just a few click away. Try it now!